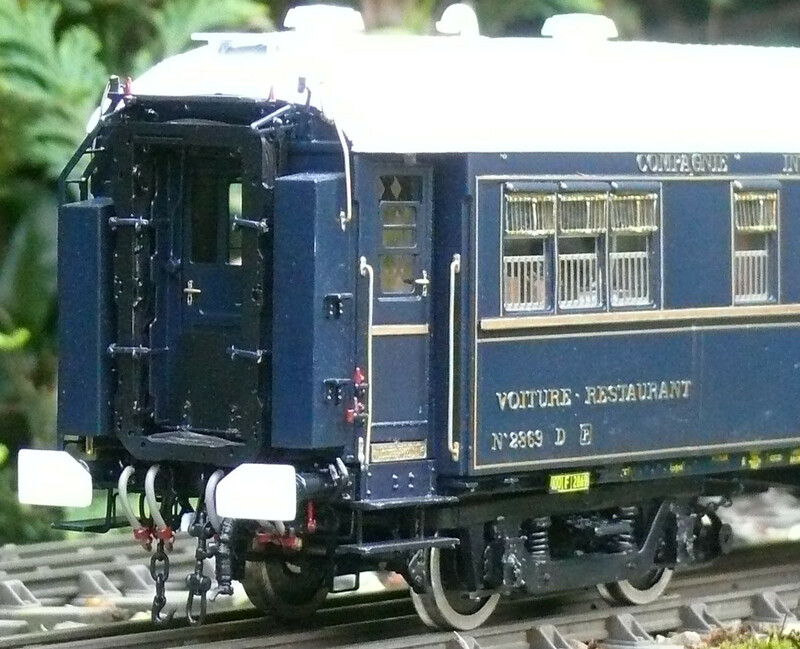 In 2008 DH-Präzisionsmodelle and Teletrain together planned to make a series of CIWL carriages which were supposed to be highly detailed. 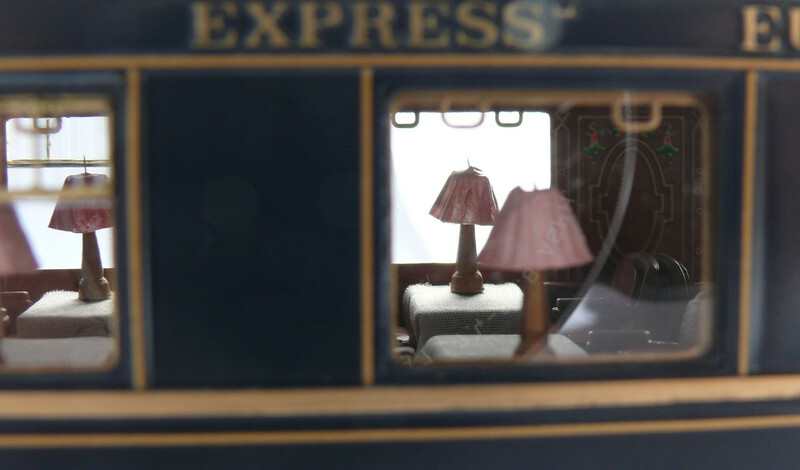 The Korean manufacturer even visited the Railway Museum in Mulhouse to see to get this right. 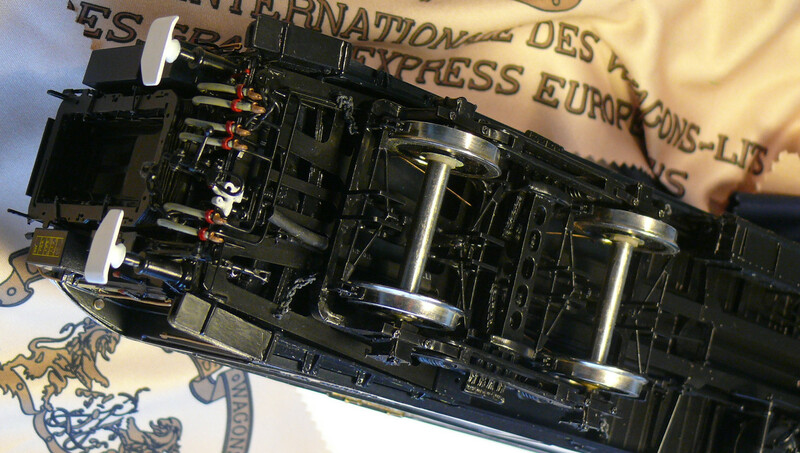 Here is the WR of this series. 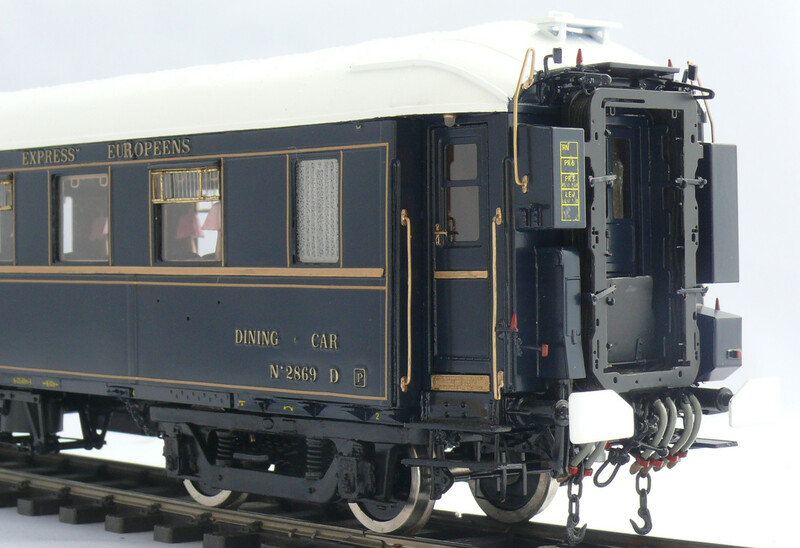 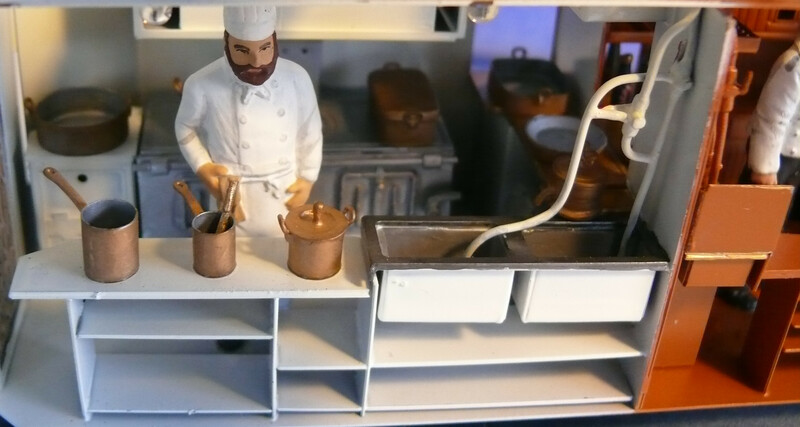 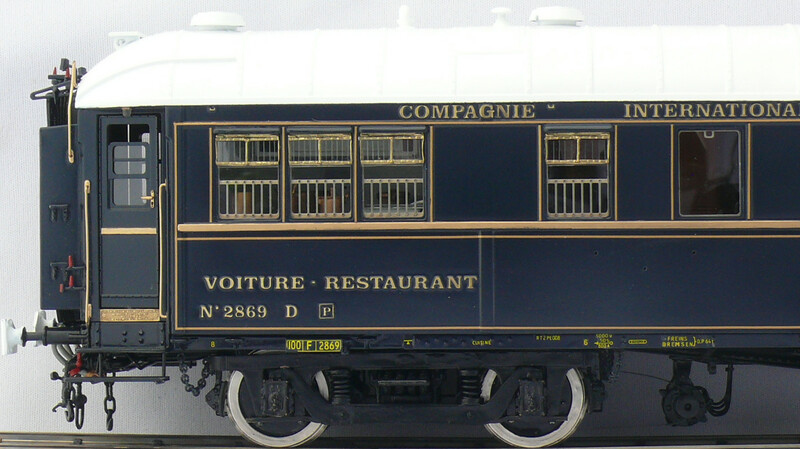 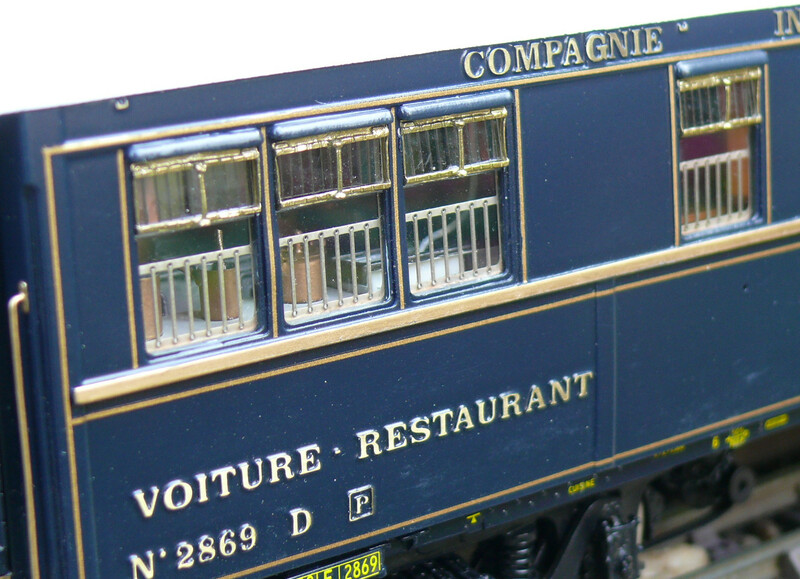 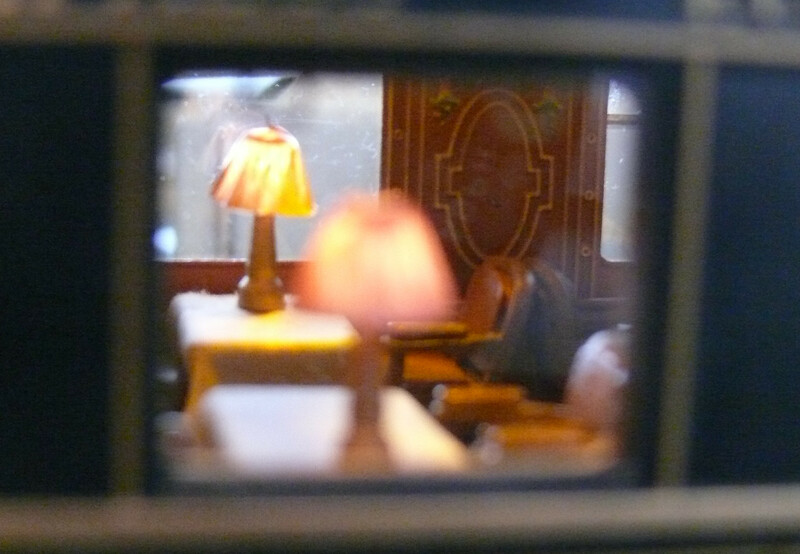 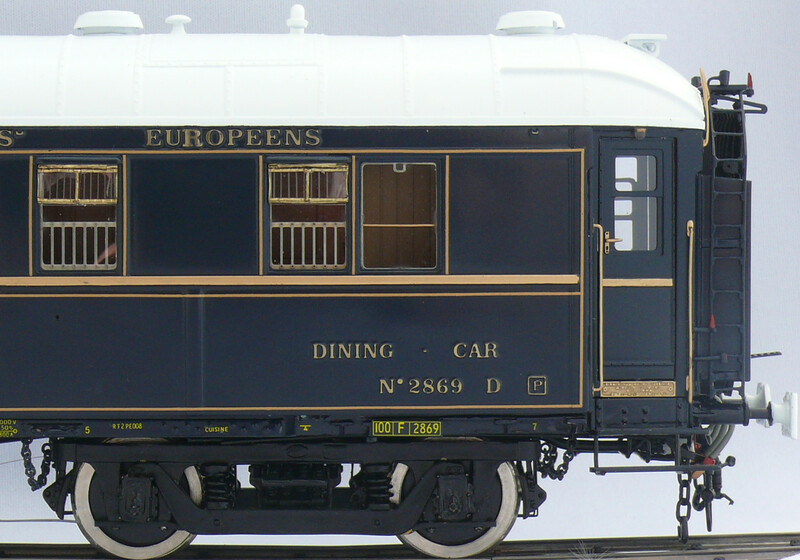 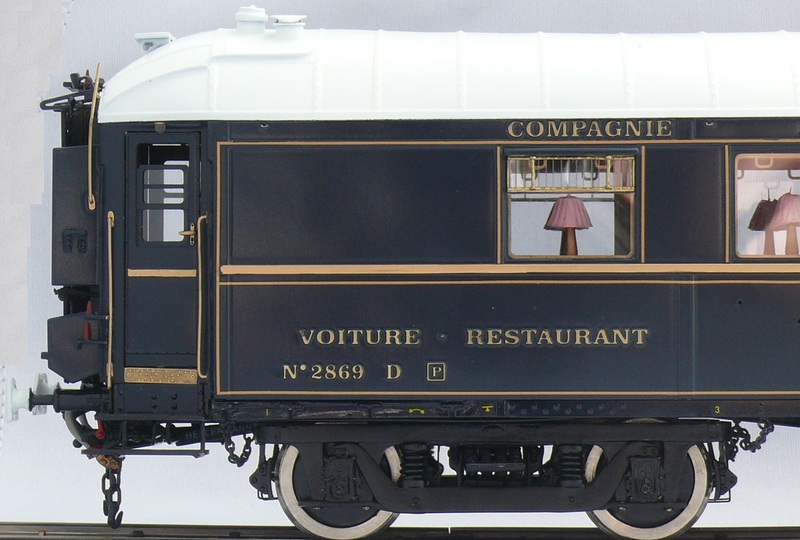 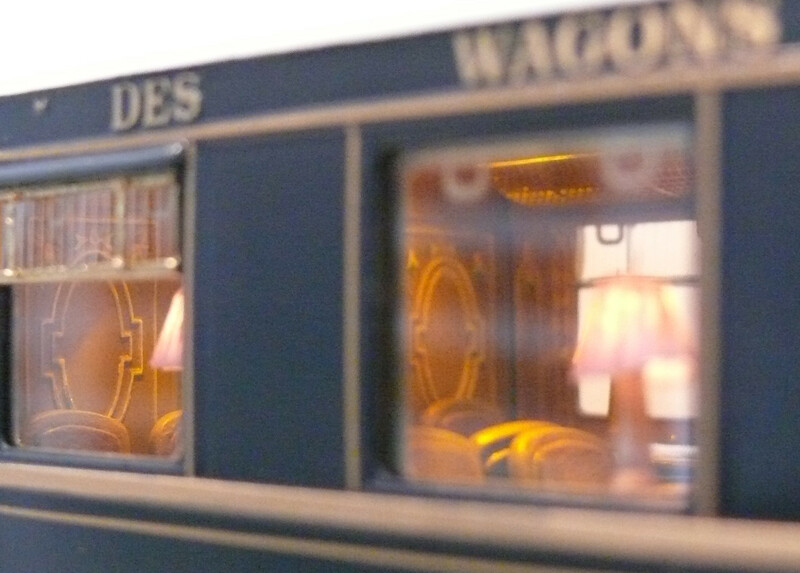 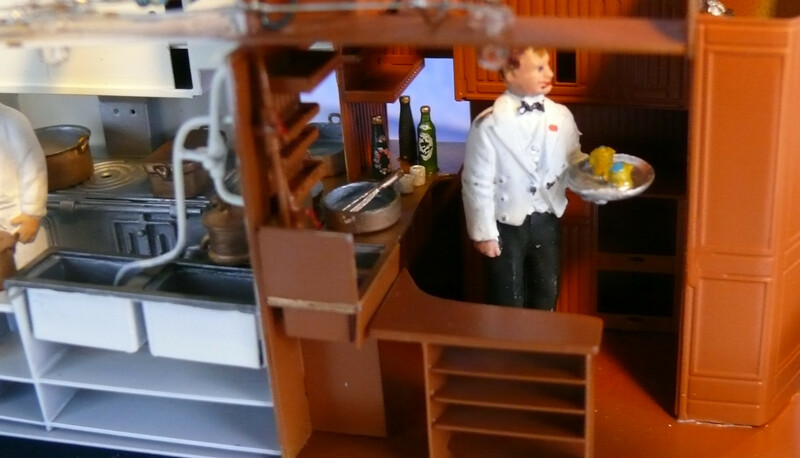 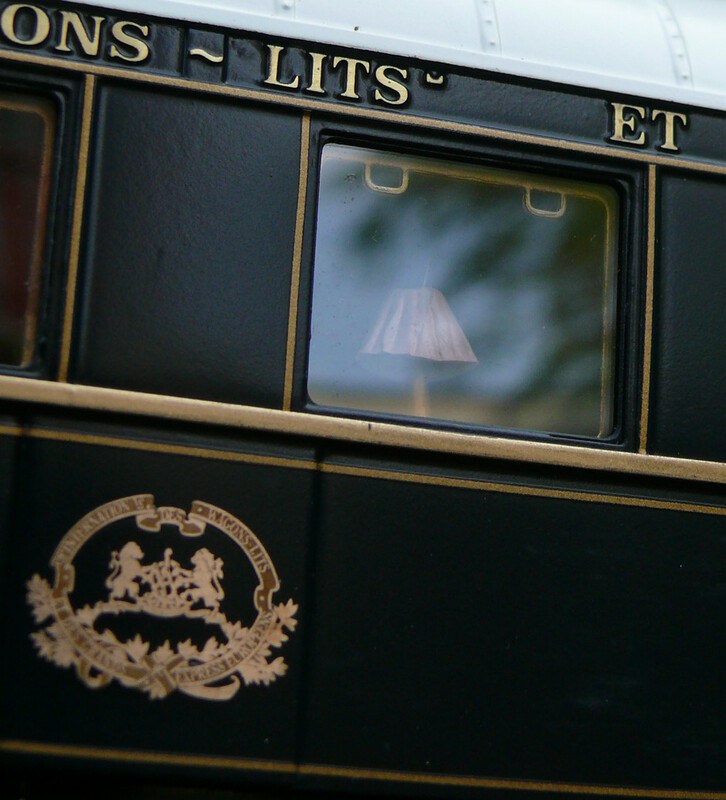 It is a model of WR 2869 made in Birmingham and assigned to the Simplon Orient Express. 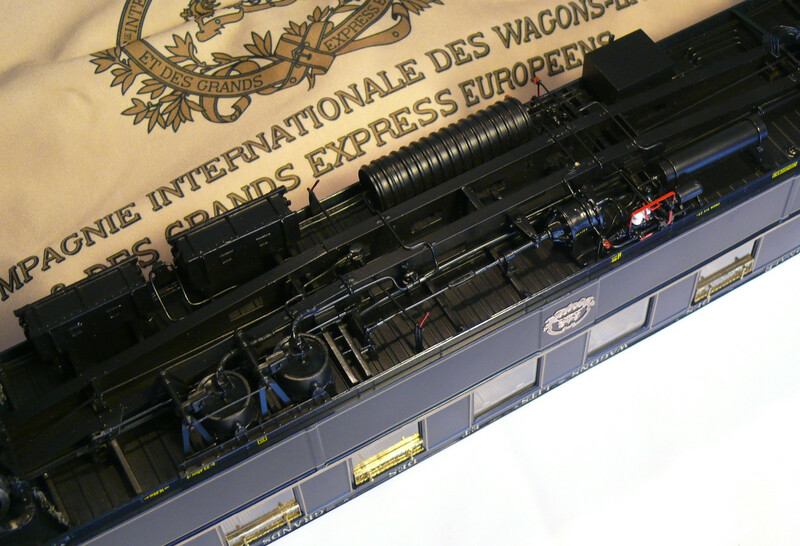 The model has a length of 55 cm and is to a scale of 1:43,5. 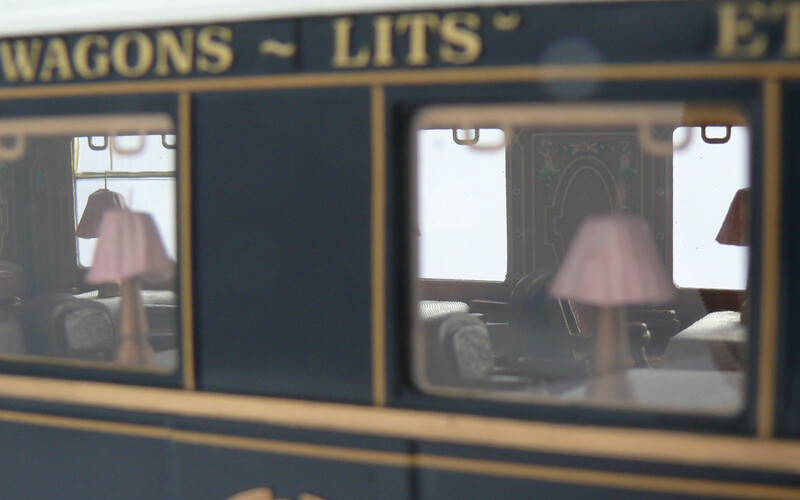 The model is all made of brass with the exception of the table cloths and lampshades which are made of fabric. 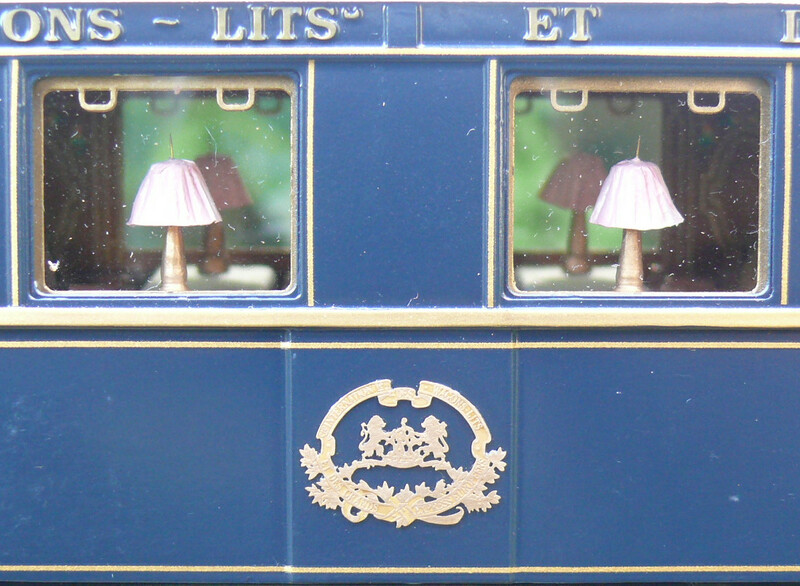 All table lamps and the ceiling lamps are lighted. 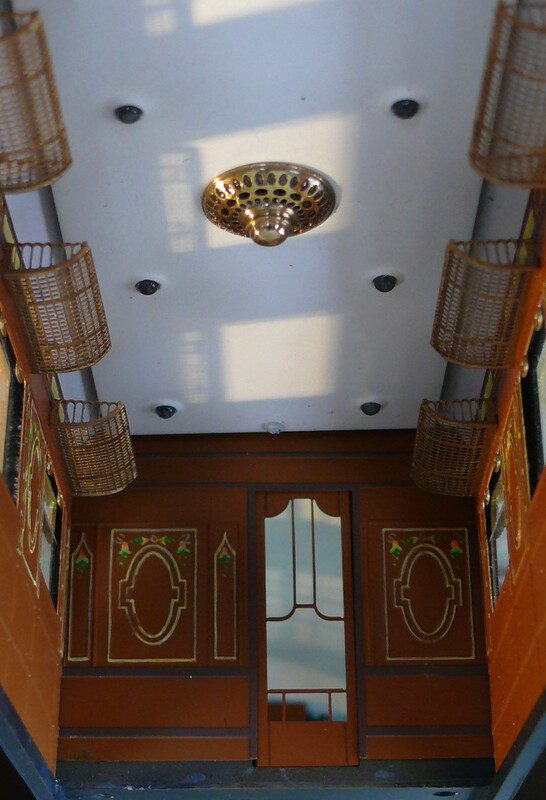 All doors, including the doors within the car can be opened.